Geri, an honorary FRG group member who still kept close contact with the group (and still published a very nice paper earlier this year), came to say goodbye. Geri received a prestigious JSPS post-doctoral fellowship, and will be working in the Supermolecules Group, with Prof Arigo and Dr Hill at MANA/NIMS, Tsukuba, Japan for 2 years! Good luck! 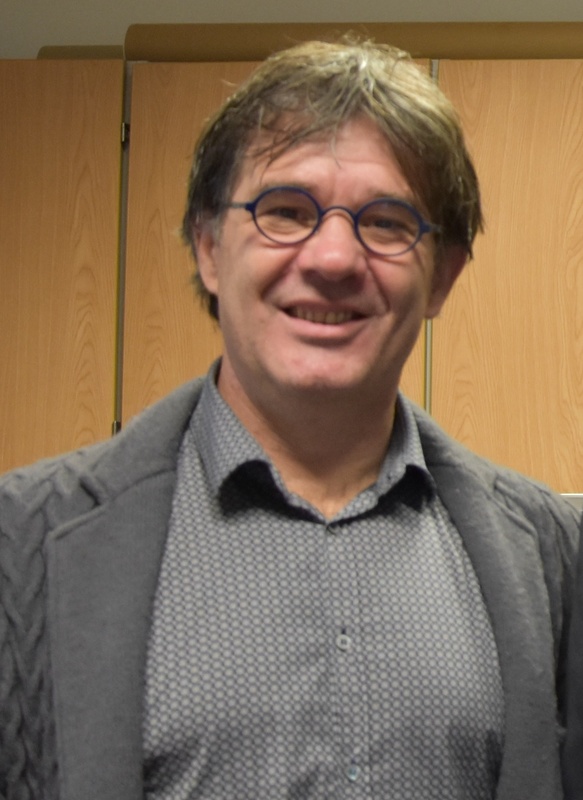 Holger Schmalz (from the University of Bayreuth) visited Bristol recently. Carl was one of the local speakers that contributed to the the mini-symposium (with other speakers from the Hall and Manners groups). Carl gave a great talk on “Functional 3D architectures based on oligo(aniline)s” – well done! A “Chemistry and Materials Session” was organised (by Charl) to take place on Friday, 6th of November, as part of the HKB Symposium 2015. With an exciting line-up of speakers, and a poster session at the end of the day it was a great opportunity to learn about local and international science! The event ended on a high note with a speakers dinner held at the M-Shed Industrial Museum at the harbour side in Bristol. Photographer: Bhagesh Sachania (group photo). 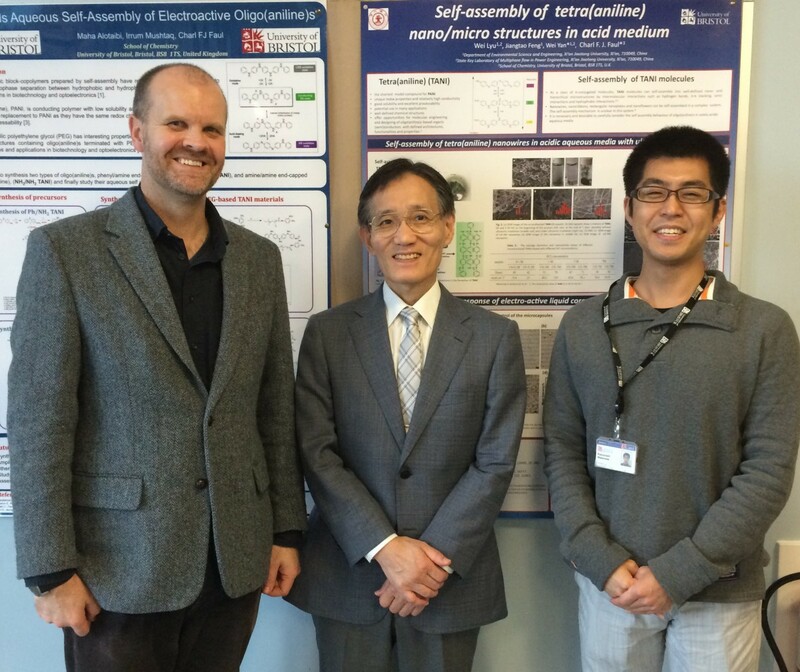 The FRG had the pleasure of hosting Prof. Kazuo Akagi from Kyoto University today. After a beautiful talk about helical poly(acetylene)s, and polymerisations in anisotropic media, the whole group interacted with Prof. Akagi over posters, coffee and pastries! Kazu then had the chance to catch up with his former PhD supervisor! Fascinating talk by Jan van Esch! Jan’s talk led to some lively discussion afterwards! Alex had his viva on Monday… and did a great job of defending his thesis! With Prof Jan van Esch (Advanced Soft Matter Group, Delft, the Netherlands) as his external examiner, Alex had to ensure that he knew all the details of self-assembly! Congratulations Alex – well done!